Is it finally time to kill off the other ECD? Executive creative directors often come in pairs, but are two heads better than one, John Tylee asks. Tim Mellors, the Grey worldwide creative director, admits he's partly to blame for the spiralling cost of travel and hotel accommodation incurred when the creative chiefs from his best agencies around the world meet every three months to review their work. It used to be that no more than a dozen of them would be summoned to attend the sessions that, in recent times, have taken place in India, South Africa and the UK. In the past five years, however, the numbers of those attending has almost doubled. And the reason for this is the growing number of the network's agencies where the executive creative director's job is shared. Mellors acknowledges that he has had a lot to do with the rising number of attendees. "After all, I've been responsible for hiring some of them," he says. However, he still believes that having a single person in creative command is the best option. On the other hand, he admits circumstances may leave him with no choice. "Sometimes, the best available creative leaders come in pairs," he says. According to Mellors, anecdotal evidence suggests that what's been happening at Grey is being mirrored elsewhere. Some believe that the workload of an ECD in a major agency is now so great that job-sharing makes sense. Mellors, though, suggests that the perceived need by agency management to assert their authority is the main reason for the trend. "A forceful and single-minded executive creative director is a lot more difficult to deal with," he explains. "A pair of ECDs is likely to be more aquiescent." The latest UK agency having to confront the question of whether two creative heads are better than one is Publicis London. Following the resignation of Tom Ewart as the joint ECD earlier this month, the agency must decide whether to replace him, or put the creative department in the sole charge of Ewart's fellow joint-ECD, Adam Kean. 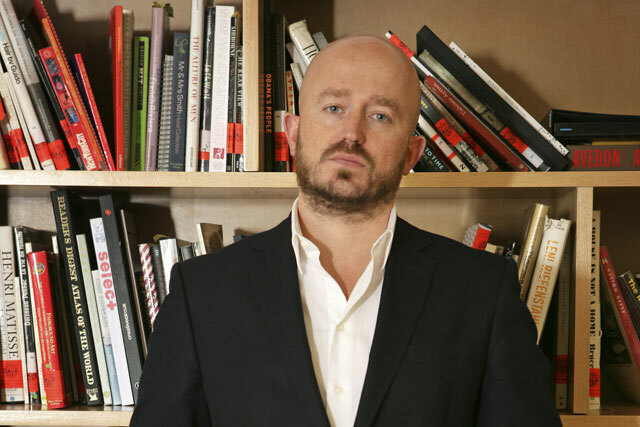 Elsewhere, Ogilvy & Mather London has opted to end the arrangement under which the creative department was run by a trio of creative partners, in favour of a single ECD, Gerry Human, the former worldwide creative director on its Unilever business. "Providing you can find all the qualities you need from an ECD in a single person, it's the ideal arrangement," Hugh Baillie, the agency's chief executive, says. "But one of the problems we have as an industry is that there aren't too many of such people about." Steve Vranakis, who is soon to leave VCCP's creative department under the command of its other creative head, Darren Bailes, claims there is no definitive answer to the question. Vranakis, who is joining Google Creative Lab as a creative director for Europe, Middle East and Africa, says: "It comes down to what works best for the agency." But he adds: "It's also true that creatives are insecure people who need the reassurance of somebody alongside them." The end result must be that the agency speaks in a clear voice, irrespective of how many creative leaders it has. "I think this comes best from an individual," Damon Collins, the Rainey Kelly Campbell Roalfe/Y&R creative chief, says. "And I think most agencies would agree." "Advertising is the only business where the creative output is produced by pairs, and you might have thought it would be easy to run a creative department with two people in charge. "The problem is that departments with joint heads tend to lack focus. Other agency departments don't operate in this way. "I'm not saying a joint arrangement can't work - we've joint ECDs at our Indian agency who are brilliant - but it can lead to politicking and manoeuvring as people in the department work out which ECD is the most malleable." "Creativity is such a subjective matter, so having one person's view is better than two because there's no room for misunderstandings or misinterpretations. "Of course, having joint ECDs can help spread the work of the creative department if there is a mountain of it. But in the end, you need clarity - and you get that from one person rather than two. "The problem that we as an industry face is being able to find all or enough of the necessary qualities of an ECD in a single person. There aren't enough of such people about." "You only have to look at Kim Papworth and Tony Davidson at Wieden & Kennedy to see that having joint ECDs can work. And I think I worked well with Tony Barry at Lowe London because our views were very similar. "The crucial relationship in any agency is the one between the chief executive and the ECD, irrespective of whether that job is done by one or two people. "My belief is that having one ECD works best. It means that the decision-making process is far simpler, and leads to far more clarity. It's much easier to pinpoint an agency's creative point of view if it's coming from one person." "I've worked as a sole ECD and in partnership with somebody else, and I think it's really a question of what fits an agency best. "Having said that, all creatives benefit from working with someone from a totally different cultural background who can bring the vital element of objectivity. "It's just like that with me and Darren Bailes, my creative partner. I'm from Vancouver and he's from Durham. He comes from a traditional advertising background, while I'm from a digital one. Yet, we've worked effectively together overseeing campaigns for Coca-Cola and Comparethemarket.com."